2018 was a good year to be a flipper. 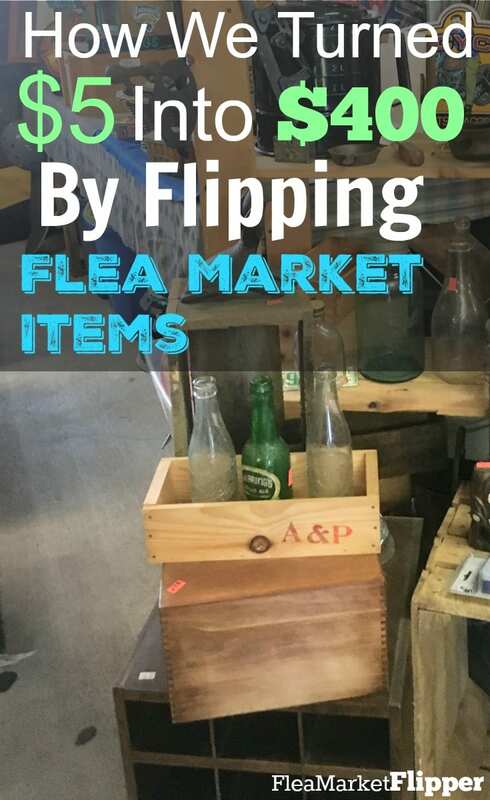 We had a ton of great flips and managed to finally travel the 600 miles up the 127 Yard Sale this past summer. 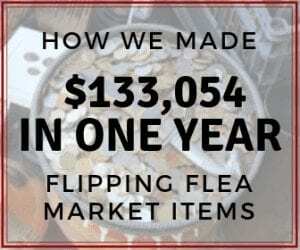 But one of our not-so-great moments was how we finished our 2018 Flipping Challenge. 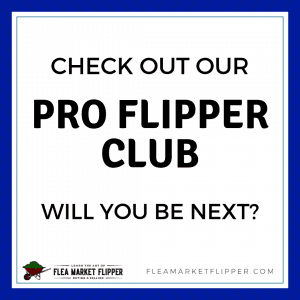 We started last year with the flipping challenge – to take something you paid $25 or less and flip it. Then take that amount of money and reinvest it and flip it again. 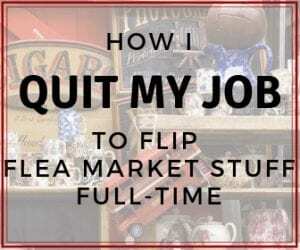 The goal was to see how much you could make flipping, by starting with something so small. I was so excited to get started with this challenge! However, I hit a few bumps and didn't finish it like I had wanted to. When I say a few bumps, I mainly mean consistency of taking pictures and listing items. That is definitely where I struggle sometimes. 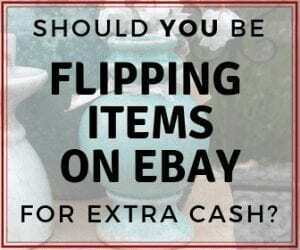 I love finding items, but if they need some fixing up or elbow grease, sometimes it gets put on the back burner for too long before it gets listed. There was also one item in the challenge that didn't bring in the profit I had originally thought. So let's jump into how far we made it. 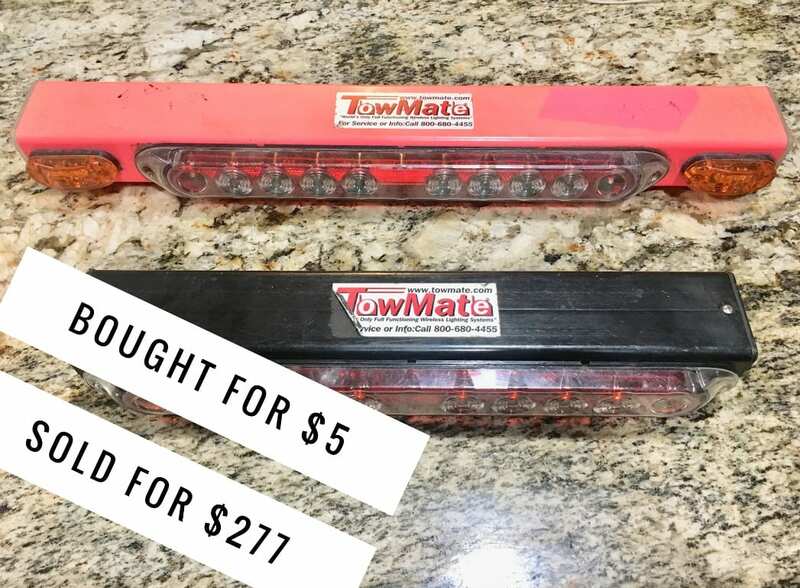 The day we started the challenge, I found two trailer lights at the flea market for $5! I threw them on eBay and they made a total of $227 in just about a week! Not a bad start at all! I made two mistakes with this one. First, I bought it in January and while we live in Florida, even January is not the best time to sell a boat. The second part was I didn't open it up before I bought it. It was brand new in the package, but it had been siting for so long some of the seals had come undone. It was still worth money, but not as much and I just listed it as-is. 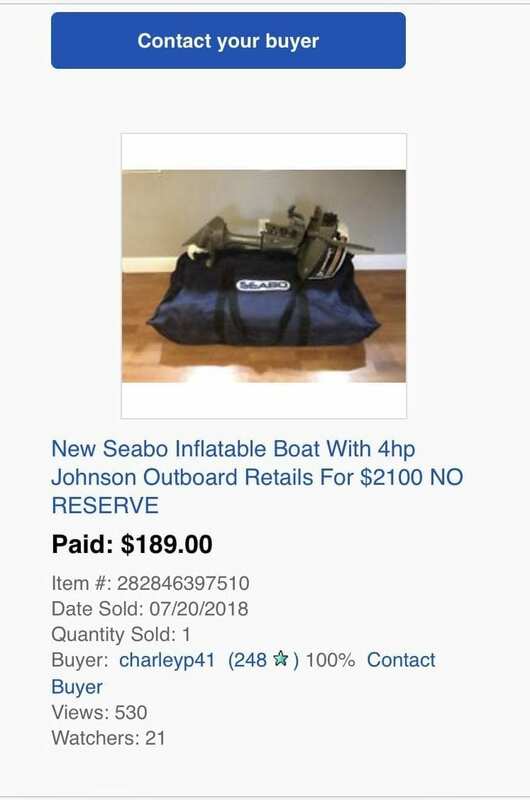 I ended up selling the boat on eBay in July (yes… I sat on it way too long) for $189. So we lost a bit on this one. After fees we were left with $165. Then in August I took $25 from the pot and bought a shoulder therapy cuff from a yard sale at the 127 Yard Sale. That sold a week later for $300! So after fees it brought our grand total to $400. And then I didn't keep going with it. We turned that $5 flea market find into $400 and that's where it stopped. 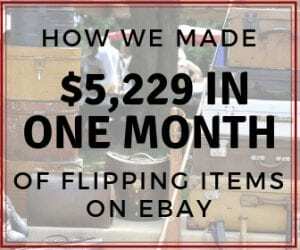 This second flip challenge took something from the trash and flipped it into more money. 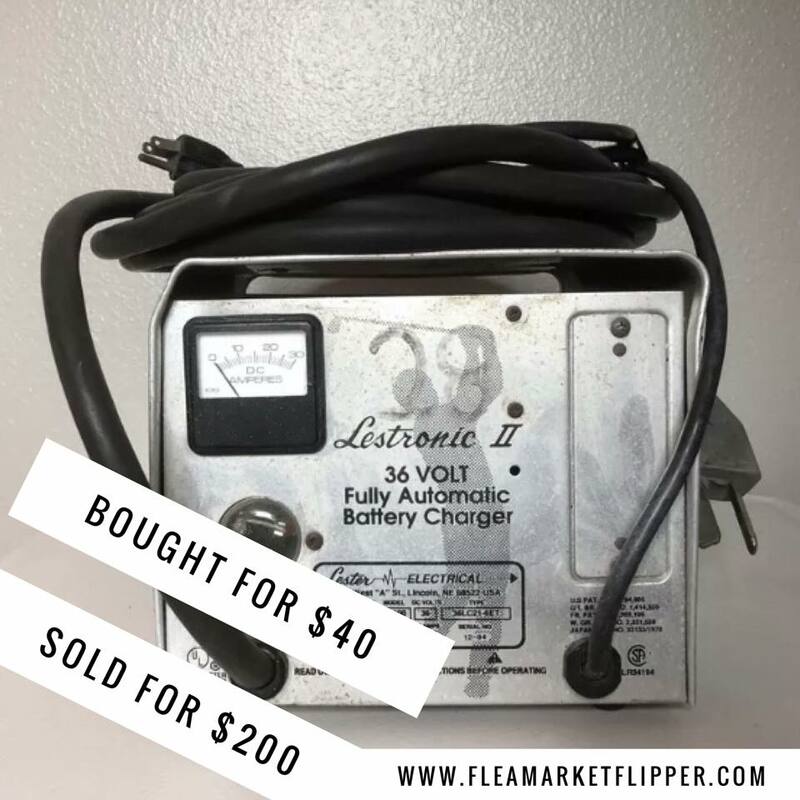 I found a battery charger that week that someone was throwing away. It sold on eBay in less than a week for $50! Not a bad start to the challenge. I then took $40 from the pot and ended up buying a golf cart battery charger. It sold on eBay for $200! I took the $200 and bought a commercial oven and large fish tank to resell! I was super stoked about them! Then the excitement was lost and I never made it a priority to get them fixed so I could sell them. That is definitely where my weakness is – making projects a priority. I love the excitement and the buy, but the follow through sometimes gets me. So if you are like me and get sidetracked don't worry! There is still hope for people like us. haha. One book I would recommend reading this month (or listening to on audible like I do), is The ONE Thing: The Surprisingly Simple Truth Behind Extraordinary Results by Gary Keller. It will help you find your focus! Melissa recommended it to me at the end of last year and it really has been a great help to get me focused this year! One thing nice to know is, I can still make this flipping thing work for us – with or without my shiny object syndrome. Once the last two items sell, we should be at about $4,000 for the challenge from starting with $5. Not bad, but not as good as we can do! I'm so excited to give the challenge another go with a new plan! 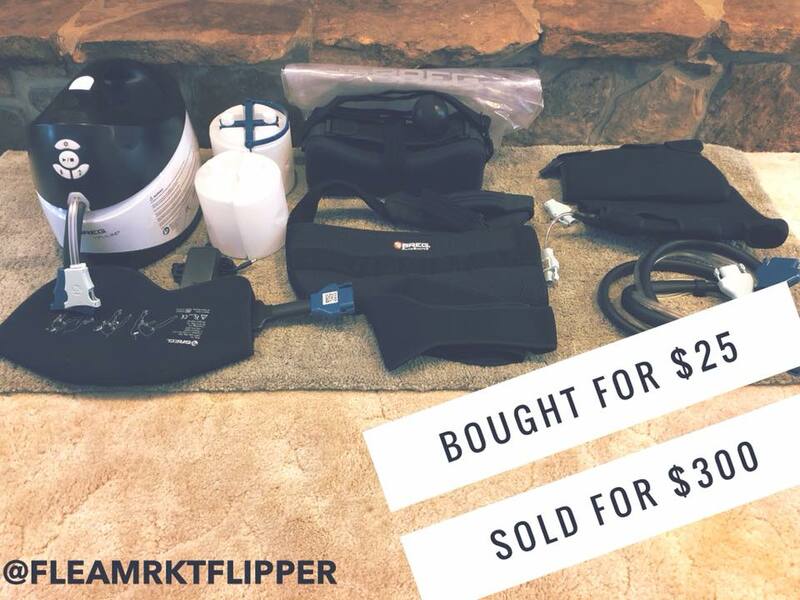 So who is ready to jump into the 2019 flipping challenge? Check out the details here! 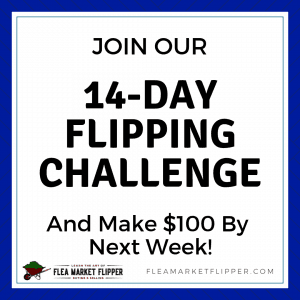 How did YOU do on the 2018 flipping challenge? Comment below and let us know how it went for you!